The screenshot doesn’t show too much. 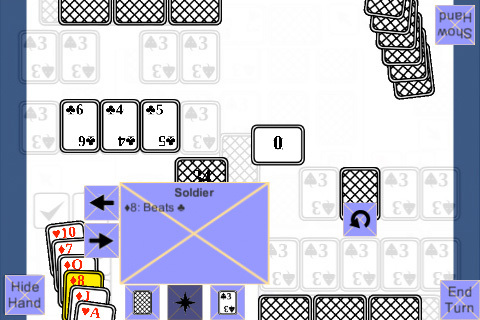 A small thing is the deck and discard pile is moved out a bit so the numbers are visible when the info box appears. There’s also a flip button on the right side that allows you to flip a face down to face up. It is just a dummy icon but I do like it. I did get the complicated ability done so hopefully the others will be faster/easier to do.